Smoking food is an American pastime which has by no means diminished in any way. What has changed over time are the devices we use to cook such foods. 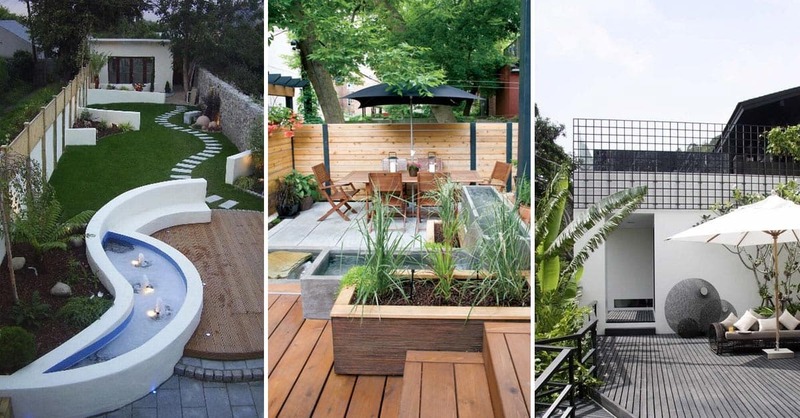 Gas, electric and charcoal powered smokers have replaced the in-ground pits that were used generations ago. 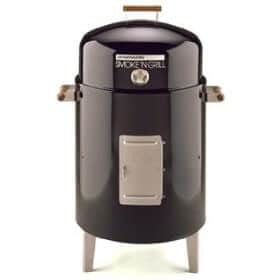 The Brinkman smoker happens to be one of the most popular smokers available. Brinkman actually offers several different smokers, each with slightly different functionality. 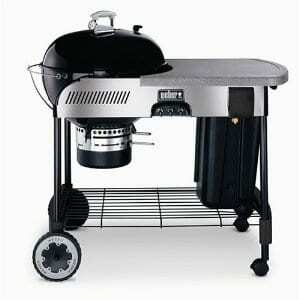 For the design trendy chef, Brinkman features their smokers in multiple colors, including black, green, red and silver. At the base of every charcoal smoker is a reservoir where briquettes are poured. You can expect to use a substantially larger amount of coals than would be used in a regular grill, due to the larger amount of area which must be heated. The Brinkman smoker line has a hinged door just above the reservoir where additional coals can be loaded during cooking. It is also customary to add hardwoods soaked in water onto the coals, creating the signature smoke. Extremely fine particles from the wood smoke enter the meats to create the wonderful flavor we all know and love. Brinkman smokers all have high quality chrome steel grates which can hold up to 50 pounds of food. Feel free to load on as many hot dogs, sausages, hamburgers or even turkeys you please without worry. A thermometer built into the domed lid allows for exact control of heat levels. Brinkman designed the lids to circulate heat and smoke back onto the food, not only cooking both sides at once but infusing the meat with ample smoke. Opening the lid is done pain-free thanks to the wooden stay-cool handles on the sides. 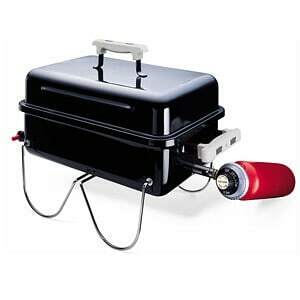 The Brinkman smoker grill line gives users the option of grilling by doing a simple modification. By moving the charcoal bucket up a level, users can quickly create a fully functional grill. Brinkman takes it a step further with their All-In-One smoker series. 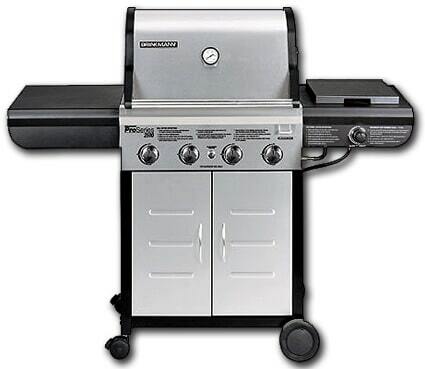 These units are powered by gas or charcoal and can fry, grill and smoke. In gas mode, users can perform all three functions. In charcoal mode, users are limited to grilling and smoking. 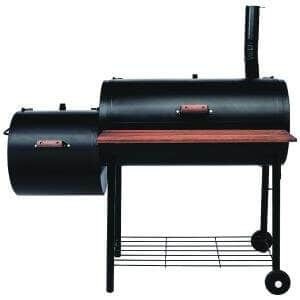 Few other smoker systems allow for this range of functionality. The Brinkman electric smoker runs on 1500 watts of electricity. Users place their soaked wood on top of lava rocks which heat up from the electric burner underneath. As you can see, the possibilities are endless with Brinkman.